Now that 2016 is in full swing, we’d like to share with you recent developments as well as reflect on the past year’s activities. We look forward to working with our clients around the world to continue to build on the momentum we’ve created. We’re proud to announce that Calvin Mitchell has joined the KARV team as a senior advisor. Calvin is a proven crisis and corporate communications leader, and brings more than 25 years of experience providing effective communications solutions to government agencies and global business enterprises and individuals at the highest levels in the U.S. and other world financial centers. We’re confident that Calvin’s experience providing trusted advice to C-suite executives and senior government leaders around the globe will be of tremendous value to KARV clients. Calvin previously served as the Global Co-head of Corporate Communications at Credit Suisse and as the Global Head of Corporate Affairs at Thomson Reuters. He has worked with private and public sector clients in the U.S., Europe, Middle East and Asia, holding senior communications roles in the U.S. State Department and Department of Treasury as well as The White House and National Security Council. A former career member of the U.S. Foreign Service, Calvin’s other particularly relevant experience includes his service as Executive Vice President and Head of Communications at the Federal Reserve Bank of New York, where he served throughout the financial crisis. The recent Joint Comprehensive Plan of Action (JCPOA) between the P5+1 and Iran represents an opportunity for businesses around the world to re-engage with Iran on several levels. However, companies are struggling to assess the key variables and threats associated with this new opportunity as executives ask whether or not the nuclear deal with Iran will pass the test of time. In order to assist in this matter, KARV has partnered with The Median Group, a premier political risk consulting firm based in Washington, DC, to compile an in-depth report entitled, Key Risks to the JCPOA: What Companies Doing Business in Iran Need to Know. This must-have report provides companies based in the U.S. and around the world with a critical assessment of the JCPOA as they contemplate entering the Iranian market. For more information on the report and KARV’s broader risk assessment and communications capabilities in the region, please contact Jonathan Leibowitz at: [email protected] or +1-212-333-8273. KARV Communications provides on-going corporate communications and media relations strategy, issues management counsel, and government relations and editorial support to Transit Wireless, the company that is building a wireless, Wi-Fi and public safety network connecting all 278 underground subway stations in the Metropolitan Transportation Authority’s system in New York City. We also serve as media spokesman to this BAI Communications company that to date has connected 147 stations. 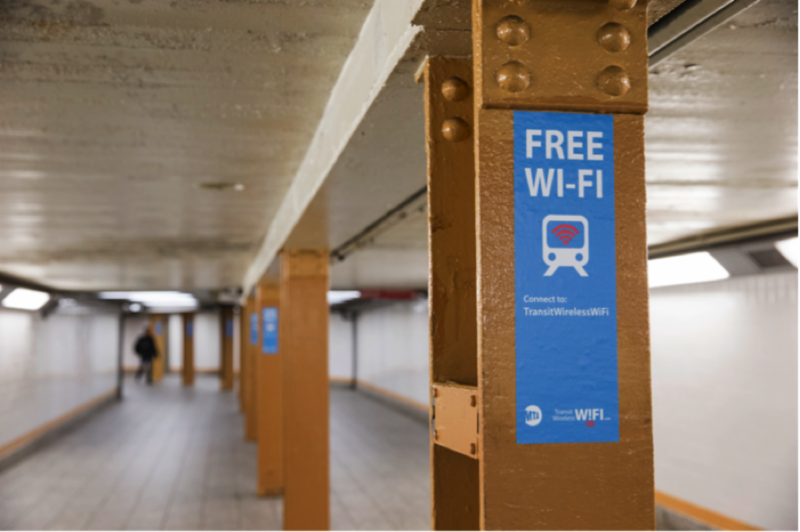 We’re pleased to help Transit Wireless give New Yorkers and visitors a way to stay connected with cellular service and access to free Wi-Fi while in NYC’s underground subway stations. KARV Communications works with a multinational private equity firm headquartered in Asia as it deals with various business and regulatory issues across the United States and other countries throughout the world. KARV provides strategic counsel related to complex business and reputational issues throughout the enterprise’s various business operations, including the implementation of comprehensive communications and public affairs programs. Additionally, KARV compiles detailed research reports that analyze regulatory issues and new market opportunities to inform the firm’s strategic investment decisions across a range of business sectors in the U.S. and other countries. KARV Communications provides litigation support, media relations strategy, editorial support and third-party outreach services related to a high-profile art restitution lawsuit brought in the U.S. against this Foundation that operates the Federal Republic of Germany’s world-renown museums, libraries, archives, and research institutes. The KARV team posts periodic blogs on topics of interest to our clients and the members of the network we’ve built over the years: our recent blog offers a host of reasons why a company should consider bringing in an outside PR consultant when facing a significant litigation matter. And now that we’re in the thick of the U.S. Presidential campaign, we will comment from time to time on important issues that may affect our clients. We will do so on all our social media platforms and mainstream media where appropriate, so please join in the discussion and comment. « Calvin Mitchell Joins KARV Communications as Senior Advisor	» The world has changed. Again.